Röggla, T, Cesar Garcia, P.S, & Shamma, D.A. (2017). 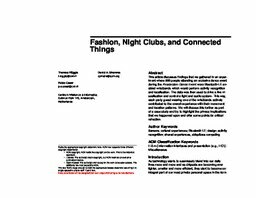 Fashion, Night Clubs, and Connected Things. In Proceedings of the Workshop on Designing the Social Internet of Things.